Top social media stories this week varied from a range of acquisition to geographical delays in rolling out features by social platforms. 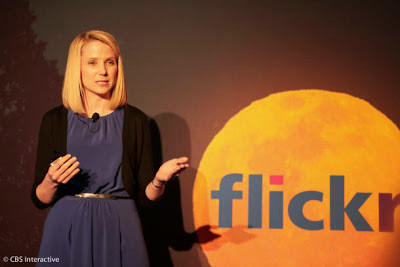 To name Google I/O event, Yahoo's Tumblr acquisition for $1.1 billion, Salesforce acquiring Clipboard, Facebook's delay in launching home for Europe etc. are few of these stories. Social network indeed is/can be for everything. The addition of a new networking platform for parking spots just proves that. 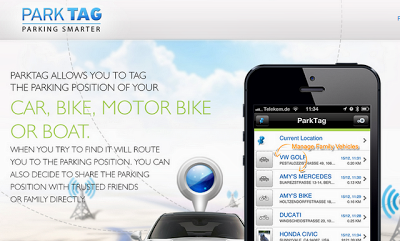 ParkTag, is the social networking platform that helps finding a parking place. This app applies the game theory very well and each user gets point based bonus on each tag on parking spaces. Remember that car faced app for maps and traffic named Waze? Well, as per BusinessWeek, Google is also bidding on Waze at it's price tag of $1 billion. Facebook was also negotiating earlier this month for this traffic and map app, as per ComputerWorld reports. Who so ever wins this battle, the excellency of Waze gonna be utilized at a larger level for sure and that's a good news indeed. Twitter is really focused on a data-driven business, call it a BigData fad or what-so-ever you want. This acquisition is supposed to empower the users/advertisers leveraging the real time conversations. "Marissa Mayer is trying to realign the business to focus on a core set of high-traffic properties," said Chris Green, principal technology analyst at consultants Davies Murphy Group Europe. The activity feed and other pages on Flickr now appear in less of blank white space than earlier. "It puts Flickr back on the agenda making it relevant to both hobbyist and professional photographers alike, but it also reignites the whole storage capacity war that started with Gmail and that we are now seeing with cloud file sharing services." said Mr. Green. 1TB, less of white blank space or whatever it is, I personally believe that Yahoo could do more with Flickr. If Ms. Mayer has stressed more on the possible networking part within Flickr and if she could have introduced something to have more of textual contents, Yahoo could be the eye-candy in tech market for sure. With 35 million registered users, almost 4 billion total check-ins and around 75 million API calls per day, Foursquare is the biggest player in location based networking platforms. 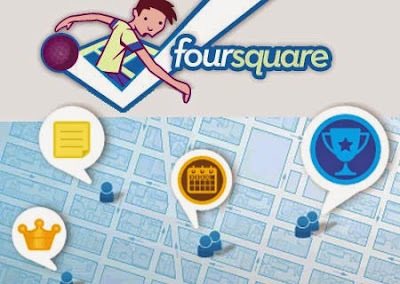 Foursquare's recent partnership with Gnip allows it to access any data in Foursquare in real time. “Location is one of the most interesting ways to view data and no one understands the power of location like Foursquare,” writes Gnip product manager Steve Perella on the company blog. And YES, there's an interesting report coming outta PEW Research saying "Teens growing cool on Facebook but warming to Twitter". Here's the FULL REPORT.